I am an Associate Professor of Physics at Santa Clara University, in California. My research interests have included dilute magnetic semiconductors and three-dimensional Dirac semimetals. I use transient-grating spectroscopy to measure the diffusion coefficient and complex optical response of photoexcited electrons and holes. While visiting the Dani Unit, I have studied two-dimensional materials and Dirac semimetals. I am a professor at University Pierre et Marie Curie and the head of the “Ultrafast Terahertz spectroscopy group” at Ecole Normale Supérieure in Paris. Over the past few years, my research interests have been in the study of the dynamics of THz-quantum cascade lasers, spin excitations in diluted magnetic semiconductors, and carbon-based structures. In this short few month visit to OIST, I look forward to establishing a strong collaborative partnership with the Dani Unit, and exploring potential bio-related applications of Terahertz spectroscopy by leveraging OIST's unique inter-disciplinary platform. I am a visiting faculty from the Department of Physics at Southern Illinois University Carbondale (SIUC). Core research interest (at present) of my group at SIUC is in the synthesis and characterization of nano structured materials for energy and nano-electronics based applications. At present I am involved in several advanced characterization of 2 dimensional layered materials and structures at OIST. I am enjoying my time in a very intellectually stimulating environment of Dani Unit. My personal goal, apart from doing exciting science, will be to build a long term relationship with Dani unit and OIST through strong and fruitful scientific collaborations. I am from southern part of India. I joined the Femtosecond spectroscopy unit on 13th may 2013. I have nonlinear optics background and my interests include time domain spectroscopy of optical pump-probe and THz. Before joining the group, I worked at Laser lab, University of Hyderabad for my Ph. D program. I received my masters in physics from Andhra University, Visakhapatnam. At University of Hyderabad, my thesis involved nonlinear optical characterization of Graphene based hybrid materials, biosynthesized silver nanoparticles and organic molecules using nano, pico and femtosecond laser systems for optical limiting application. Good at degenerate four wave mixing, auto-correlation, Z-Scan and pump-probe techniques. Update as of May 2018: Assistant Professor at Central University of Karnataka. Update as of August 2018: Staff Scientist at OIST (Dani Unit). I have taken BSc (Honours) and PhD in Chemistry at the University of Adelaide in Australia, which involved unltrafast spectroscopy (femtosecond transient absorption spectroscopy and time-resolved fluorescence upconversion spectroscopy). In 2013, I joined the Femtosecond Spectroscopy Unit at OIST as a special research student. My keen interest in optical-pump terahertz-probe spectroscopic characterization led to re-join in this unit in April 2015. I am glad to take cutting-edge research and challenging projects in this unit and OIST. It is my hope to further work on optical-pump terahertz-probe spectroscopy, conduct characterizations of novel materials, and extend my scientific skills in ultrafast spectroscopy. Update as of July 2017: Occupational Health and Safety administrator at OIST. I studied for both my Masters and Ph.D. at the University of Exeter and have a keen interest in the ultrafast optical properties of graphene. By probing with ultrafast pulses in both time-resolved pump-probe spectroscopy and degenerate four-wave mixing, the unusual electronic band structure of graphene can be probed and the interaction between photoexcited charge carriers and the lattice can be investigated. With the 10 fs broadband THz system at OIST, the fundamental physics of various materials and systems can be explored at much lower energies. 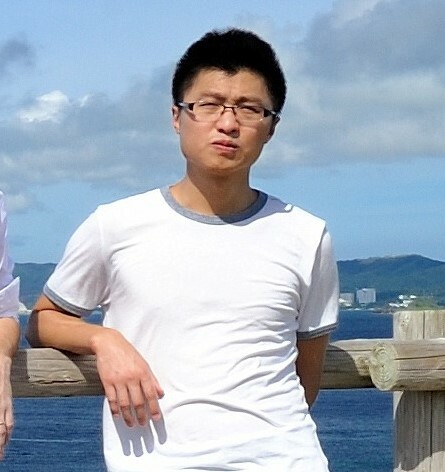 I joined OIST and the Femtosecond Spectroscopy Unit in May 2012 with the challenging role to provide theoretical support to the group, given that I am a theorist with expertise mainly on the nonlinear optical properties of semiconductors. Previously I did a postdoc at the University of Konstanz in Germany, in the group of Guido Burkard, where I worked on problems related to the optical manipulation of solid state qubits. Before that, I was a postdoc in the group of Shaul Mukamel at University of California, Irvine, where I gained experience on the powerful tool of two-dimensional spectrocopy. I completed my Ph.D. at the University of Crete in Greece (where I'm originally from), in which I studied the ultrafast nonlinear optical response of the quantum Hall system under the guidance of Ilias Perakis. My research interests include linear and nonlinear optical properties of semiconductor nanostructures, ultrafast spin dynamics, electron-phonon and electron-nuclear spin interactions, and excitonic qubits, among others. I studied for my PhD in Laboratoire Pierre Aigrain at Ecole Normale Supérieure in Paris. My work involved, on one hand, the investigation of electronic and optical properties of terahertz sources, Quantum Cascade Lasers (QCL), using ultrafast THz Time-Domain Spectroscopy (THz TDS). On the other hand, I studied the resonant nonlinear optical properties of QCL to perform efficient 3-wave mixing in order to convert a THz radiation onto an NIR optical carrier. In 2012, I did a short postdoctoral visit at OIST to build a broadband THz TDS setup (> 10 THz) based on a 10 fs laser in order to study low energy electron interactions in graphene-based materials. I am currently a postdoctoral researcher in Laboratoire Matériaux et Phénomènes Quantiques at Université Paris 7, where he investigates the properties of novel semicondcutor based heterostructures in the quantum Hall regime for THz generation at high temperature operation. Update as of July 2017: Post-doc at OIST (Dani Unit). Update as of March 2019: Post-doc at OIST (Dani Unit). I am currently in my final year as a Ph.D. student in Materials Science and Engineering at Rutgers University in New Jersey. I visited the Femtosecond Spectroscopy Unit for 10 weeks during the summer of 2015 and had a very productive and enjoyable experience. I've returned to the group for one year as a Special Research Student, where I will be studying the influence of metallic nanostructures (i.e., plasmonic nanostructures) on the absorption and charge dynamics in ultrathin solar cells. We seek to enhance hybrid organic - 2D inorganic solar cells as well as van der Waals heterostructure solar cells using plasmonic nanostructures. I completed my BSc (Physics), MSc (Photonics and Microelectronics) at the University of Crete and I worked as a technical student at CERN (LHC - Beam Position Monitoring system). I am currently enrolled in the postgraduate program at the University of Crete under Prof. G. Tsironis and I have been working as a special research student at OIST in Femtosecond Spectroscopy Unit since October 2013. My work is placed both in the Microscopy and High energy Labs and it covers femtosecond spectroscopy techniques and fabrication processes. I am honored to be here and I am motivated by my colleagues and the work environment. I completed BSc. (Molecular and Drug Design) and Honours of BSc. (Chemistry) at the University of Adelaide in Australia. My current research projects in PhD (Chemistry) at this university involve Physical Chemistry and other disciplines. My projects involve femtosecond transient absorption and femtosecond fluorescence upconversion using the medicinal pigment curcumin (tumeric), under the supervision of Dr. Tak W. Kee. I joined the Femtosecond Spectroscopy Unit at OIST as a special research student. Since April 2013, I have been working on time-resolved optical pump-probe spectroscopy and the THz-TDS system to extend my research skills and experience. I am originally from Malaysia. I finished my BEng in electronics at Multimedia University, Malaysia. I am currently doing my MSc in telecommuncations and electronics engineering at Telecom Bretagne in Brittany, France. With an interest in lasers and optics, I joined the Femtosecond Spectroscopy Unit to explore THz application in metamaterials and the study of ultrafast carrier dynamics. My main research interests include ultrafast optoelectronics, time-resolved terahertz spectroscopy and imaging. Since January 2012, I assisted the unit in to set up our first THz-TDS system. I received a MSc. at CINVESTAV in 2017 working on the stabilization of a high repetition rate Ti:Sa oscillator for an optical frequency comb system that is at the National Metrology Center of Mexico (CENAM). I’m currently pursuing a PhD that is focused in developing THz metrology. As a visiting research student for 5 months at FSU I’ll be doing frequency stability measurements of QCLs and THz wave generation with laser induced plasma. I am currently pursuing a bachelor’s degree in Physics (as well as a minor in Mathematics) at Northeastern University. I will be joining the Femtosecond Spectroscopy Unit for 8 months as a research intern. Previously, I have worked on the growth and optoelectronic properties of novel 2D materials, with special attention to moire patterns in TMD heterostructures. At FSU, I will be studying charge dynamics of plasmon-exciton coupling in 2D nanostructures. I received my MPhys degree from the University of St Andrews in 2017. I am a first year PhD student working under Dr Sam Stranks at the University of Cambridge, investigating perovskite materials for optoelectronic applications. My thesis is focused on the characterisation and treatment of electronic defect states which lead to parasitic losses in perovskite PV and LEDs. As a visiting collaborator at FSU, I will be conducting PEEM and TR-PEEM measurements on perovskite films to investigate the effects of chemical passivation, on the distribution and dynamics of defect states. I received my bachelor’s degree from Grinnell College in Iowa, United States, where I studied physics and environmental science. Previously, I worked brief terms at Lawrence Berkeley National Laboratory and Argonne National Laboratory investigating renewable energy and efficiency technologies. In the Femtosecond Spectroscopy Unit, I will be working on imaging charge dynamics in energy materials for six months. I am currently pursuing a combined bachelors in Electrical Engineering and Physics at Northeastern University. I have previously worked with point-to-point communications as well as biomedical optics. As part of Northeastern University's internship program, I will be joining the Femtosecond Spectroscopy Unit for six months as a research intern. At the unit, I will be working on the fabrication of van der Walls 2D materials as well as THz applications. I received my bachelor from South University of Science and Technology of China. I join the femtosecond spectroscopy unit as research intern for six months. Previously I worked on the magnetic and optical properties of new-rising 2D materials from first-principles calculation. And now my research interests focus on the terahertz and its applications in imaging and spectroscopy. In FSU, I’ll study strong-field/broadband THz generation and THz spectroscopy of magnetic materials. I have recently received my masters degree in Applied Physics from Amity University, and previously received my bachelors in Physics Honors from Delhi University, India. During my masters, I did my thesis on two-dimensional materials from IIT Delhi. I have done the growth of monolayer MoS2 using CVD technique and characterized it using PL, Raman spectroscopy and AFM techniques. I also have experience of working in two laboratories in India (IISER Pune and JNU) which focused on synthesis of nanoparticles and its temperature dependent charge transport mechanism. Now I am joining the Femtosecond Spectroscopy Unit as a research intern for the period of six months. I will be working on fabrication of van der Waals heterojunctions. I am currently doing my undergraduate degree, B.S. in Physics at Shiv Nadar University, India, and I have just completed my third year. I have previously worked on a project in experimental physics where I was learning about the properties of polymer-graphene nanocomposites for optoelectronic applications. I am also doing a project where I am studying the band gap modulation in 2D vdW-heterostructures for tunable optoelectronic devices computationally. I am joining the unit as an intern for 3 months. I'm very excited to have gotten this opportunity to work in Prof. Dani's Unit. Staying here and working at OIST seems like a lot of fun especially because of the location of the institute. I will be working on 2D van-der-Waals materials and Terahertz Applications and Devices here. Update as of Sept. 2017: B.S. student at Santa Clara University. Update as of July 2017: Ph.D. student at Tulane University. Now, I am a sophomore of Hokkaido University. I join this unit as a research intern. My major is applied chemistry, and I am especially interested in physical chemistry. That's why I am in this unit. I am thinking about going to graduate school in a foreign country. So, OIST is a good place for me to experience the international surroundings. In addition, I want to experience a research life because I have never done it although I want to be a researcher. I would like to learn about femtosecond lasers deeply and what researchers' life is like during my stay. Update as of July 2017: B.S. student at Hokkaido University. I am a 3rd undergraduate studying at Santa Clara University and majoring in Physics. For about a year and a half, I have been working for Dr. Chris Weber using transient grating pump probe experiments to find diffusion coefficients and optical response of various materials, focusing on three-dimensional Dirac semimetals and other semiconductors with little previous ultrafast research done on them. I am very excited to work at OIST, and while here, I'm researching two-dimensional materials. Update as of July 2017: Ph.D. student at University of Colorodo Boulder. I received my BS in Astronomy and Physics from the University of Florida in December 2015. During my interim period before starting graduate school in the fall (TBD! ), I have taken up an internship in Prof. Dani's Femtosecond Spectroscopy Unit in order to learn more about experimental lab work in nanomaterials and quantum cascade lasers. My current interests are broad and lie in materials science and high-energy detectors. Update as of July 2017: Ph.D. student at University of Texas Austin. I am currently a Ph.D. student in Materials Science and Engineering at Rutgers University in New Jersey. I graduated from the University of the Sciences in Philadelphia in 2011 with BS degrees in Chemistry and Physics. At Rutgers, I work under the supervision of Prof. Deirdre O’Carroll, and my thesis is on the design and fabrication of metallic nanostructured electrodes (i.e., plasmonic electrodes) to be employed in polymer-based solar cells. 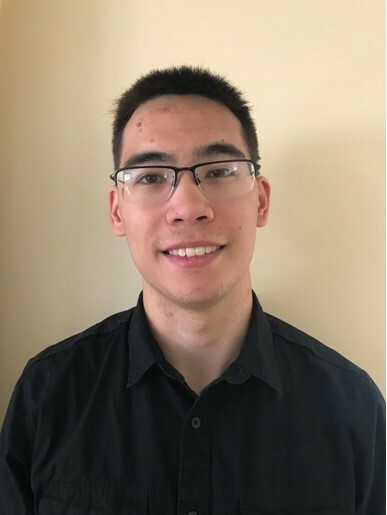 I am very happy to have joined the Femtosecond Spectroscopy Unit through the joint NSF-EAPSI - JSPS Summer Fellowship for 10 weeks, where I will be studying the charge dynamics in polymer:fullerene thin films in the presence of plasmonic electrodes. This work will hopefully lead to a better understanding of how plasmonic electrodes influence the charge generation, separation, and decay within polymer solar cells. I am extremely excited to join the Femtosecond Spectroscopy Unit as part of NanoJapan 2015. After spending a month experiencing the culture of Japan, I am now more than ready to jump into research. 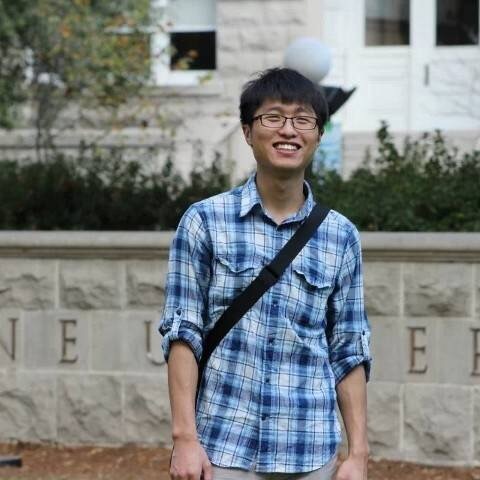 I am a first year applied physics and mathematics major from New Jersey Institute of Technology. My research interests are far from set. At this point, I truly just enjoy delving into whatever I find fascinating. Currently, this includes working with and investigating stacked 2D materials. In the past I've worked under Dr. Gordon Thomas and Dr. Reginald Farrow of NJIT's Biophysis lab fabricating nano-scale fuel cells. This summer, I hope to learn as much as I can concerning 2D materials and Terahertz. Update as of July 2017: B.S. student at New Jersey Institute of Technology. 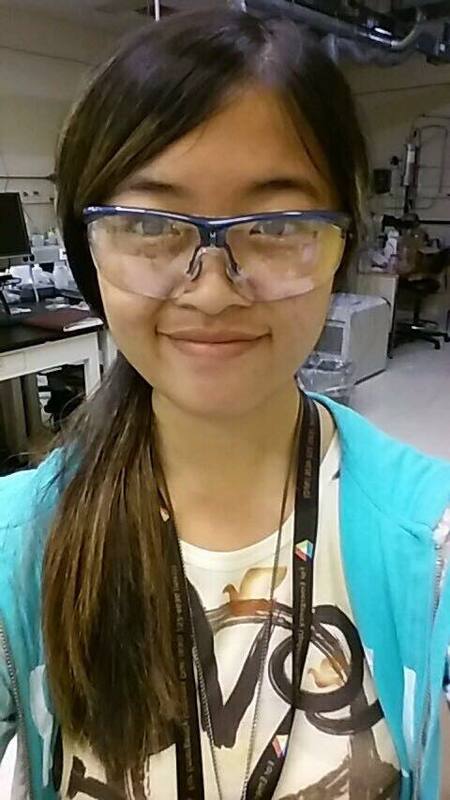 I am currently an undergraduate student at the University of Massachusetts, Amherst studying chemical engineering. 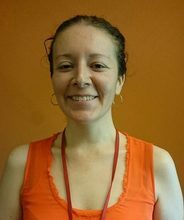 During the y ear, I work in Professor Shelly Peyton’s lab as a research assistant looking at breast cancer metastasis. This summer I am honored to be able to work with the Dani group for two months as a research intern. My area of focus will be in learning various fabrication techniques in the clean room that will be used to aid in the development of light and terahertz emitting devices. I hope to aid in the creation of newer, more efficient optical devices. I am currently a Masters student in physics in France at Ecole Normale Superieure in Cachan and the University of Pierre and Marie Curie. I am so happy to join the Dani unit at OIST for 4 months as a summer intern. Right now, 2D materials have great potential both for industrial application and for fundamental research, it's a new field where people can always find exciting results. During this 4 months, I'm going to study the monolayer and double layer of 2D materials like graphene, MoS2 and InSe. Apart from my project at OIST, I really enjoy my life in Okinawa as it's really a beautiful tropical island with mixed culture and nice food. The summer of 2014 I had the great opportunity to work with the Dani unit for a short two months as a NanoJapan: IREU intern. I left wanting more, so I have returned for a longer stay as an OIST intern. I am an undergraduate physics major from Tulane University, originally from Santa Fe, New Mexico. I have worked in Dr. Diyar Talbayev's laboratory for the past two years. Previously, I have designed and constructed Terahertz systems as well as worked with mechanically exfoliated 2D materials. This time I will be constructing a THz TDS that will be compatible with the units 17T magnet as well as taking pump-probe measurements on a number of fascinating 2D samples. Update as of July 2017: Ph.D. student at MIT. I am a final year student of 5-year Integrated M.Tech in Nanotechnology at Central University of Jharkhand, India. I did my Masters project on “Nonlinear optical properties of graphene based nanocomposites” from Raman Research Institute, Bangalore. I joined the Dani Unit at OIST in January 2015 as a research intern for three months. 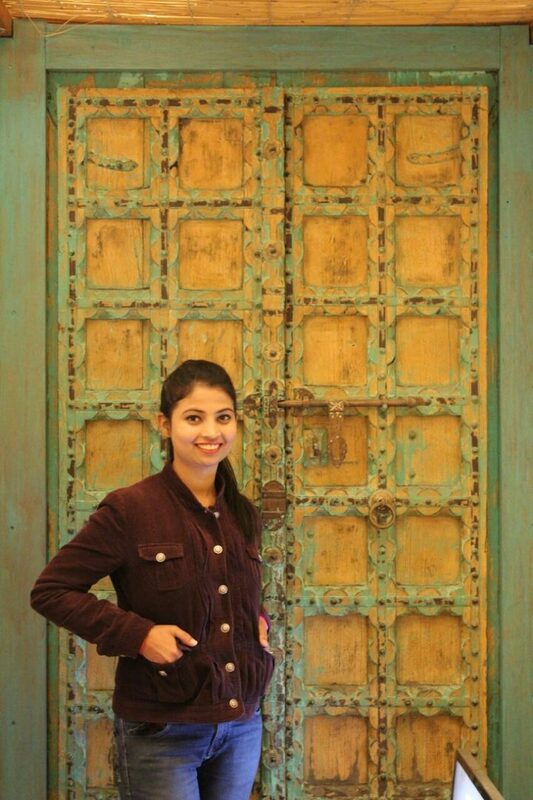 Previously, I have undergone various internship projects at IIT Delhi, NPL Delhi and IIT Madras and worked on diverse topics like water purification using graphene-silver nanocomposite, low temperature synthesis of rare earth hexaboride nanoparticles and solar cells. I got introduced to ATK-VNL simulation tool simulation at ABV-IIITM Gwalior where I worked on nanowires. Upholding my inclination towards light matter interaction at the nanoscale, I joined the Femtosecond Spectroscopy Unit led by Prof. Keshav Dani to work on quantum cascade lasers along with expanding my exposure of working in the clean room and gaining knowledge and hands on experience on device fabrication. I hope to do my best for the betterment of the group and a fruitful career ahead for myself. Having just completed my MPhys degree at the University of Oxford, I'm really looking forward to leaving the library and getting back into the lab! My MPhys project was to construct from individual components an external cavity diode laser that was then used to perform spectroscopy on rubidium vapour. This summer, my project with the Femtosecond Spectroscopy Unit will be controlling the dispersion of femtosecond pulses propagating in photonic fibres, and I'm really enthusiastic about having an opportunity to further my understanding of the physics involved. In the future I hope to continue with further study, but the difficulty is picking a single area to focus on. For this reason, I think the interdisciplinary nature of OIST will make the Dani unit a fantastic place to work. I’m a junior at Southern Illinois University Carbondale. I am interning this summer under the mentorship of Keshav Dani and Saikat Talapatra to study MoS­­­2 and terahertz antennas. I was given this wonderful opportunity through the NanoJapan program. While I am at OIST, I would like to expand my researching skills so that I might be more versatile when I return to the lab I work for at SIUC. Aside from research, I’m hoping to be able to explore the island on the rare occasions that I’ll have breaks. I am very excited to come to the institute and begin working. I am excited to be able to work at OIST this summer as a participant in the NanoJapan: IREU program. I am an undergraduate physics major at Tulane University, originally from Santa Fe, New Mexico. I have worked in Dr. Diyar Talbayev's laboratory for the past year and half. Previously, I have designed and constructed a high incidence angle reflection configured THz spectrometer. This summer I have the opportunity to design and build an optical pump THz-probe spectrometer in the Magnet Lab. I have joined the Femtosecond Spectroscopy Unit led by Prof. Keshav Dani as a Research Intern for the spring of 2014. I am presently pursuing my bachelors in Metallurgical and Materials Engineering at Indian Institute of Technology- Roorkee,India. My research at OIST is based on Producing N2 doped TiO2 nanoparticles,thereby reducing their bandgap and then further analysing their photocatalytic activity including femtosecond study. I have worked previously on fabricating micro and nano-gold spheres via Ultrasonic processing.Currently,I am working on producing graphene layers and stacking them against Si nanoparticles to be used anode material for lithium-ion batteries at IIT Roorkee. I have joined the Femtosecond Spectroscopy Unit led by Prof. Keshav Dani as a Research Intern for the spring of 2014. I recently completed my Masters degree in physics from Southern Illinois University at Carbondale, following my BS from there as well, and I am currently pursuing options for a PhD program. My work towards my Masters degree revolved primarily around the synthesis and characterization of 2-dimensional layered materials, in particular boron nitride, graphene, and the molybdenum and tungsten disulfides. The system developed for use in our group to synthesize these 2-dimensional layered materials was a type of liquid phase exfoliation technique. I have also worked on developing systems for energy storage through electrochemical double layer capacitors (supercapacitors) with various nanomaterials. 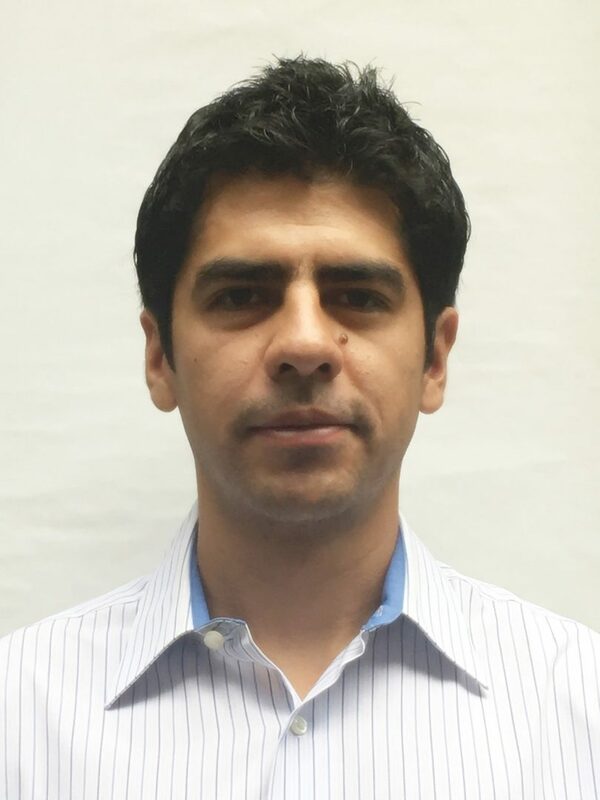 I am hoping to be able to bring the experience I have gained from working with these materials to the Femtosecond Spectroscopy Unit, and to then combine this knowledge with advanced methods of characterization and fabrication, such as Raman Spectroscopy and clean room lithography techniques. 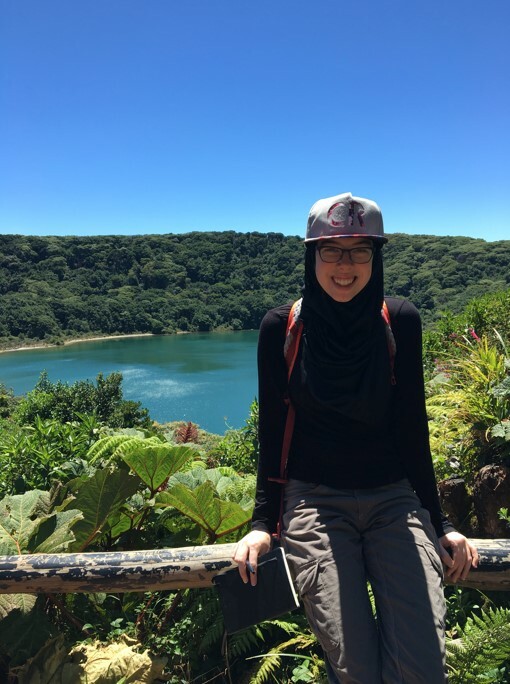 Update as of July 2017: Ph.D. student at OIST (Dani Unit). I am currently doing my undergraduate studies at Southern Illinois University in Carbondale. My major is physics with a specialization in biomedical studies, but my research so far have primarily dealt with nanomaterial synthesis and characterization. I joined the Dani Unit this summer as the first representative of the NanoJapan Program through Rice University, and I could not have gotten selected for a better place to spend my summer than Okinawa. My project will mostly consist of Raman Spectroscopy of few-layer materials, but will also be working to make interdigitated antennas. Update as of July 2017: Ph.D. student at University of Illinois at Chicago. I am currently an undergraduate at Swarthmore College near Philadelphia in the United States. 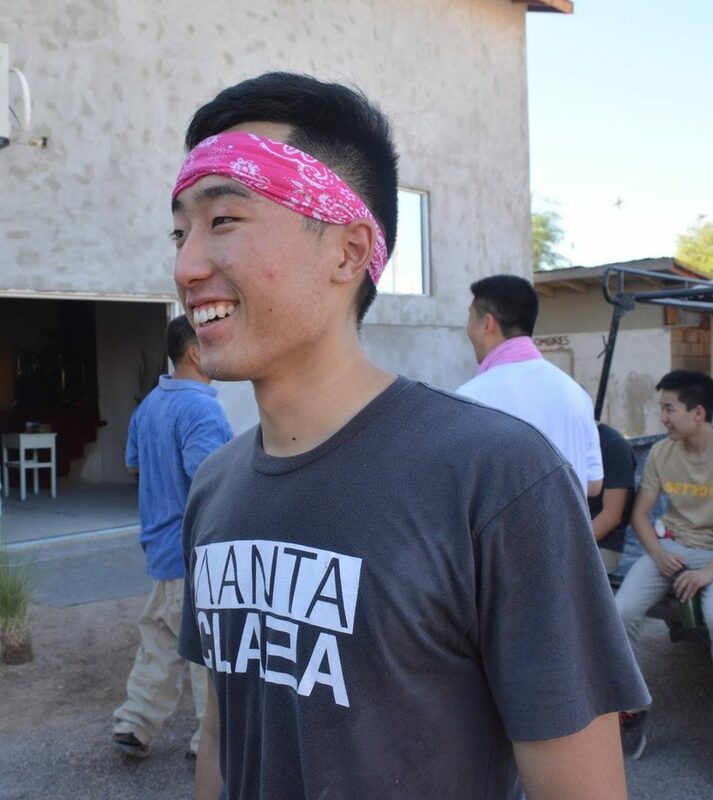 Originally from California, he hopes to graduate as an Honors major in physics with a course major in mathematics. In the summer of 2011, I worked as an undergraduate researcher under Matthew Mewes investigating group contraction, specifically in the context of breaking Lorentz symmetry. I joined OIST in May 2012 for a three month research position investigating metamaterials and their potential application in ultra-fast optical switching. I am a 5- year Integrated MSc photonics student at CELOS, CUSAT, Kerala, India. I joined the Dani Unit at OIST in January 2012 for his Masters Project on Photoluminescence and AFM Studies on Graphene Quantum Dots. I did my 6th semester project on “Preparation and Optical Characterization of TiO2 Nanoparticle" under the guidance of Dr.V.P.N. Nampoori at CELOS as part of the course curriculum. My research interests include laser physics, laser cooling, light matter interaction and metamaterials. I am a Ph.D. candidate in Tulane University working on terahertz spectroscopic study of complex materials including strong electronic correlations and multiferroic materials. I joined Femtosecond Spectroscopy Unit for 2 months as a research intern in 2017. The project focused on THz magneto-optical response of multiferroic materials. The project went very well. But the project hasn’t been completed yet. Also, I enjoyed the fancy experimental instruments, beautiful landscape and nice people. Therefore, I am back to finish the project. End August 2017, I am at OIST as a visiting researcher in the Femtosecond Spectroscopy Unit. Previously I worked at Institut Fresnel (Marseille, France) under the supervision of Sophie Brasselet, where I did my PhD in Polarization-Resolved Nonlinear Microscopy in Metallic and Ferroelectric Nanostructures for Imaging and Control in Complex Media. During this visit, I have the chance to study and work on the high-power femtosecond pulsed laser spectroscopy setup. Secondly, I will perform polarization-resolved nonlinear microscopy on 2D materials such as graphene, TMDs, and black phosphorus. I am a visiting graduate student from RWTH Aachen University in Germany, where I obtained both my B.Sc. and M.Sc. degrees. The research of my graduate studies is focused on optical (Raman) and electric transport experiments on van-der-Waals heterostructures based on high quality graphene. I joined the Femtosecond Spectroscopy Unit at OIST in November 2015. Here, I am involved in the fabrication of van-der-Waals heterostructures, taking advantage of the great facilities. The structures are fabricated for later use in optical and electron spectroscopy experiments, where the intrinsic properties of these materials can be accessed and studied. I am a 3rd undergraduate studying at Santa Clara University and majoring in Physics. For about a year and a half, I have been working for Dr. Chris Weber using transient grating pump probe experiments to find diffusion coefficients and optical response of various materials, focusing on three-dimensional Dirac semimetals and other semiconductors with little previous ultrafast research done on them. I am very excited to work at OIST for two months, and while here, I'm researching two-dimensional materials. I obtained my BSc in physics from the university of Athens, and graduated from the university of Crete in 2006 with a Ph.D thesis on brane cosmology under the supervision of Prof. Theodore N. Tomaras. I am mainly interested in dark energy and physics of the early universe. After two post-docs in Munich (Slava Mukhanov's chair) and in Valencia (Department of theoretical physics), I joined Dani Unit at OIST in May 2012 as a visiting researcher aiming at applying ideas and techniques from the high energy community to condensed matter systems. Page last updated on February 12, 2019 (CP).